​​​​ ​DALLAS – The Argyle—a landmark apartment tower—has changed hands. With about 50 rental units, the building at Hall St. and Oak Lawn is one of the oldest continually operating residential buildings in Dallas. Units in the Argyle range in size from 277-sf studio units to two-bedroom apartments with more than 1,200 sf. The seven-story Argyle Apartments opened in 1927 on Oak Lawn Ave. 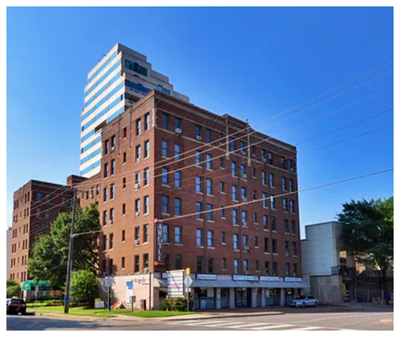 Built for the grand sum of $400,000, the red brick and stone building was described as "one of the finest of the several large modern apartments erected in Dallas in recent years." No major changes are planned for the building. ​Check out Dallas Multifamily Market Research​.